The Conceptualization of a Model of Spirituality. A questionnaire to measure spirituality. Research on the use of Chi-Kung breathing exercises for addiction recovery. An important element in Tantric Yoga is the belief in kundalini energy, which lies dormant at the base of the spinal column. 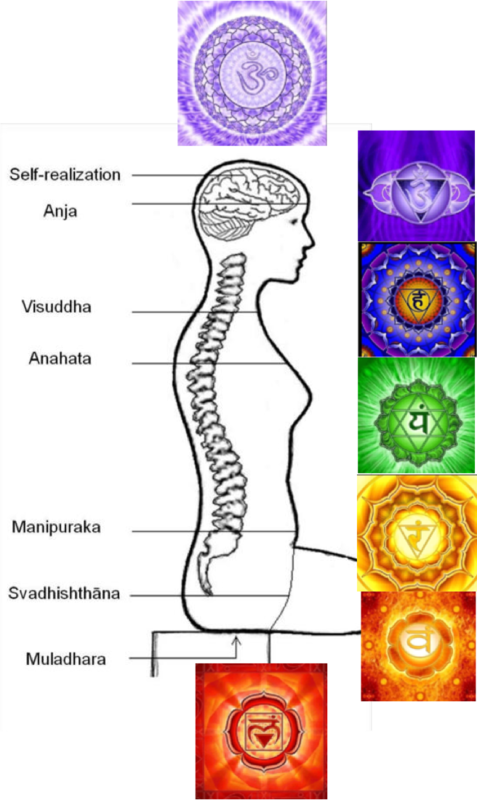 Self-realization occurs when the kundalini rises up the spinal column to the top of the head. 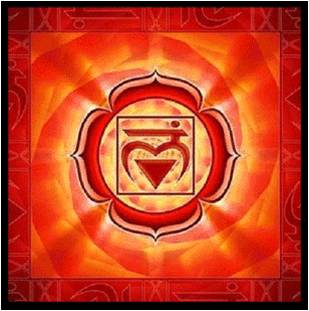 According to Tantra there are six major energy centers or chakras located along the kundalini’s path. These chakras serve as important milestones or barriers for the rising kundalini energy. 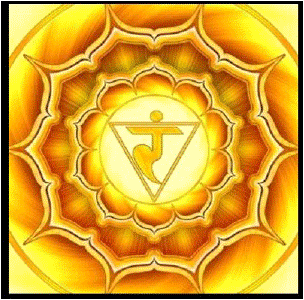 The term chakra translates from Sanskrit as wheels. Chakras resemble ancient wheels with spokes. 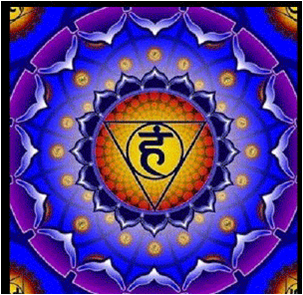 Each chakra has a center point with energy channels extending outwards that connect to the body’s overall energetic system. Tantra was the first form of Yoga to emphasize kundalini and the chakras. According to the Sat-Cakra-Nirupana, the energetic channel located within the spinal column is called the sushumnā, which spans from the base of the sacrum (coccyx) to the top of the brain (Avalon, 1950). The kundalini lies coiled like a snake at the bottom of the sushumnā. Awakening the kundalini prompts it to uncoil into a form that can then rise up the sushumnā channel. OM is a Sanskrit syllable that appears at the beginning and end of most Hindu recitations, prayers, and scriptures. 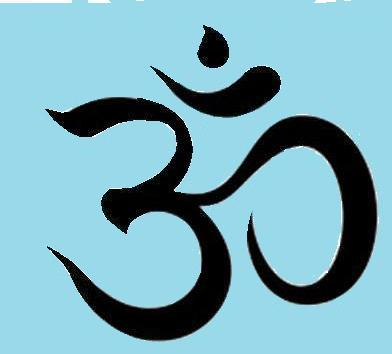 OM is the most powerful Hindu mantra and is considered to provide a short path to Self-realization. 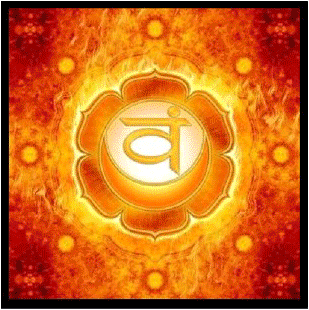 The proper chanting of OM creates a direct connection between you and the Ultimate Spiritual Reality (God). The Yoga Sutras claim that in addition to meditation the chanting of OM can be used to attain Self-realization. 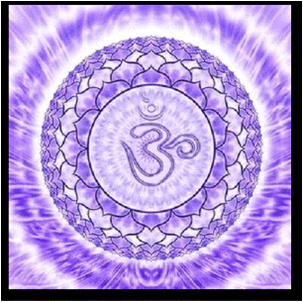 OM is believed to be the vibration of God in the Universe. 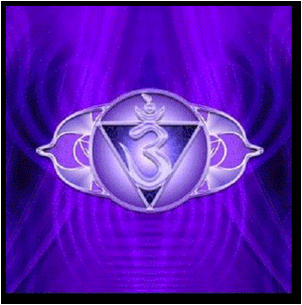 The OM vibration exists within you and by chanting it you create a resonant frequency between yourself and the universal OM. According to the Yoga Sutras chanting OM turns your awareness inward and removes obstacles that prevent you from reaching Self-realization (Ch. 1-29). 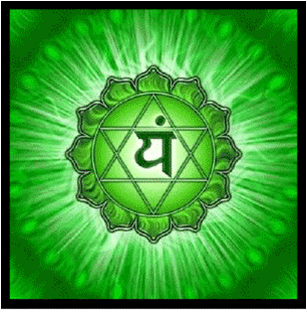 In addition, the Yoga Sutras state that chanting OM will give you access to spiritual knowledge (Ch. 1-25, 1-26). 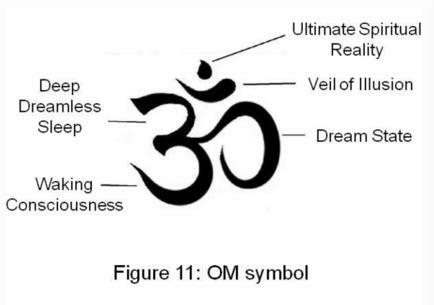 While it is conventionally spelled O-M, the sacred syllable is actually pronounced A-U-M. Each of these three letters or tones has a particular meaning, which corresponds to sections of the Sanskrit symbol of OM. 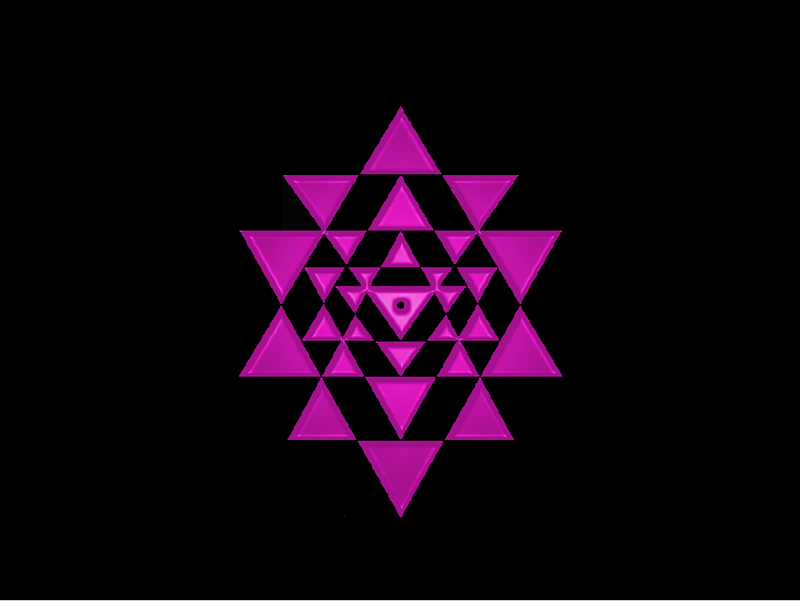 ‘A’ represents the physical world of waking consciousness. The ‘U’ corresponds to the subtle world of thought, imagination, and dreams. ‘M’ symbolizes deep dreamless sleep. The Mandukya Upanishad is entirely devoted to explaining OM. The Mandukya is generally acknowledged as the most important Upanishad and is believed to contain all that is needed to attain Self-realization (Krishnananda, 2016). Powerful image to focus upon during meditation. Tantra Yoga emphasizes the relationship between spiritual energy and Self-realization. Tantra split away from conventional Yoga in approximately the 8th century (CE). The conventional Yoga of that era was considered dualistic because it viewed the material world and the spiritual dimension as fundamentally separate, although existing in the same space. In contrast, Tantra Yoga is non-dualistic; it views the spiritual and the material as one and the same. Tantra holds the belief that all things in the material world are a manifestation of God consciousness and therefore Self-realization can be found through interaction with the physical. From a Tantric perspective, the body is at one with the Spirit (and God) and therefore the body can be utilized as a vehicle for attaining Self-realization. Tantra Yoga is based on the belief that God, in the form of Lord Shiva, manifested Himself as the Universe. As such the Universe is not only made by God, but is God Himself. Lord Shiva continuously creates the Universe as interplay between masculine and feminine energies, which creates an illusion of separate and diverse objects. From a Tantric perspective, Self-realization occurs when you are able to see and understand that there is no separation between objects, and that everything is one with God, including your own consciousness. 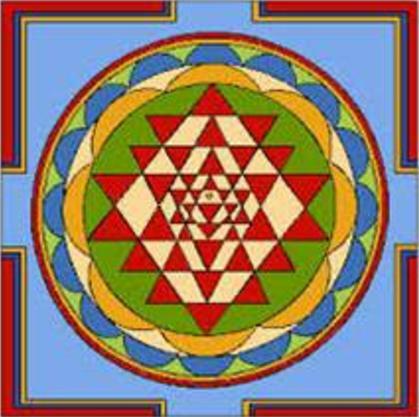 The Sri Yantra is a mandala used as a visual aid for meditation. It consists of nine interlocking triangles that form a total of 43 smaller triangles. 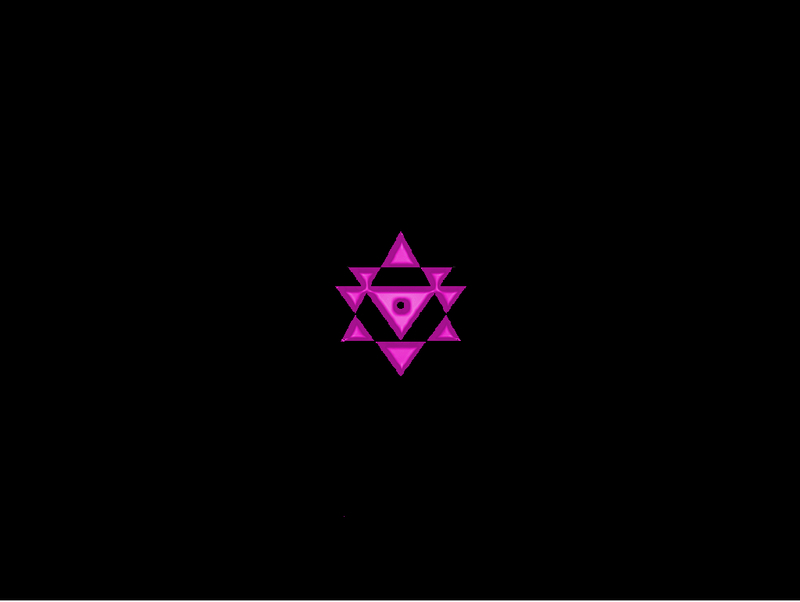 The four triangles pointing upwards represents Lord Shiva or the masculine. 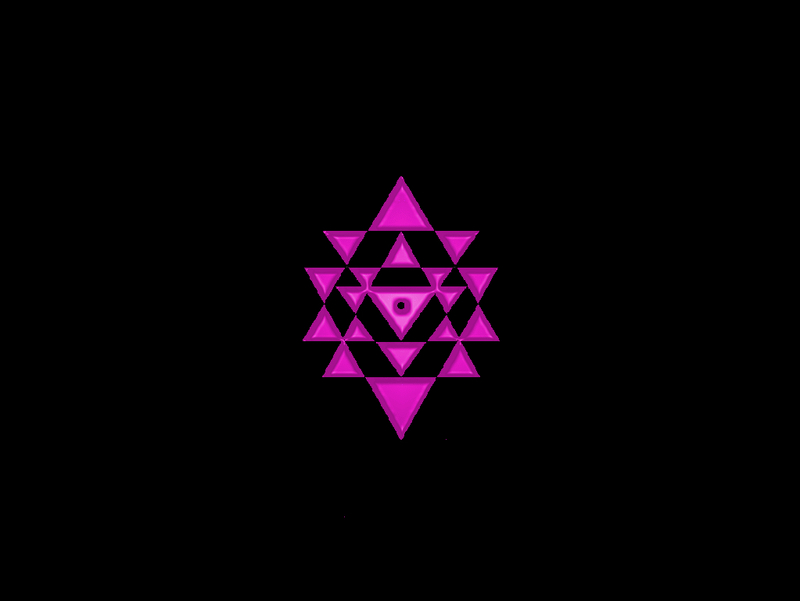 The five triangles that point downwards symbolize the female creative energy of the Universe. The middle is the power point (bindu), visualizing the highest, the invisible, elusive centre from which the entire figure and the cosmos expand. 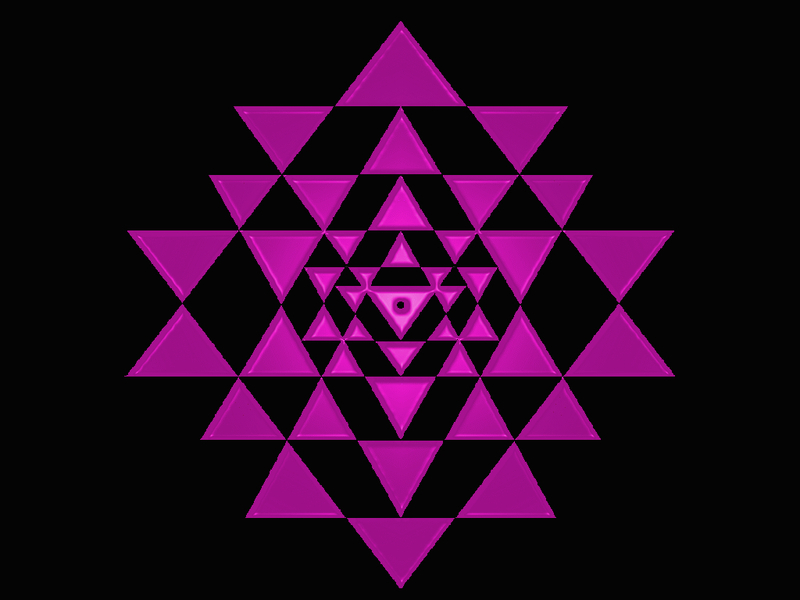 The triangles are enclosed by two rows of (8 and 16) petals, representing the lotus of creation and reproductive vital force. The broken lines of the outer frame denote the figure to be a sanctuary with four openings to the regions of the universe.